Welcome to the Encyclopedia Peacoatica! This is a resource created for you by sewers and bloggers from all over the world in aims of helping you out with our Goldstream Peacoat sewing pattern. The categories are alphabetical. Topics that fit into more than one category are included in each section they pertain to. If you have tips you would like to add to this encyclopedia, be them links, book titles, information on the history of peacoats or tales of your sewing experiences, please comment on this post and we will add them to our collection! Thank you to everyone who contributed to this encyclopedia! 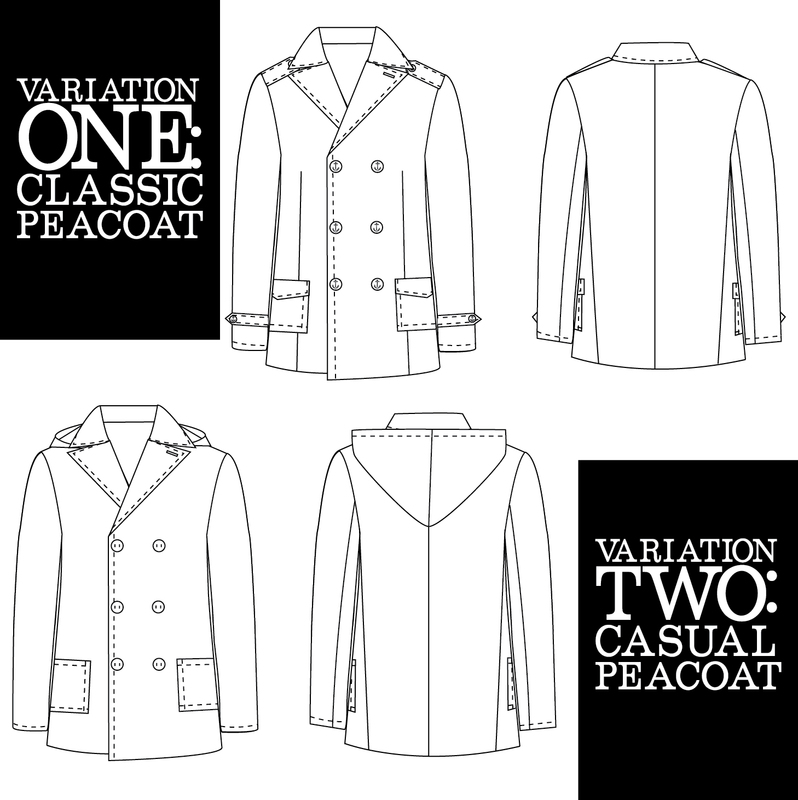 We can’t wait to see all the amazing pea coats you create with your wealth of tailoring knowledge! Tailoring, The Classic Guide to Sewing the Perfect Jacket: The steps are shown in great detail and care is made to highlight every construction technique. – Nikki H.
“Make collar points using the thread loop method. Since I’ve learned this time-honored technique, it’s made my sewn shirts look so much more professional. No more home -made looking collars that roll funny!” – Angie H.
“I’ve…been collecting tailoring supplies like a June Tailor board and a clapper. The clapper is actually great, I use it anytime I want a crisp, precise edge when pressing something.” – Nikki H.
How does one get this fabulous peacoat pattern? We are in great need of a man’s peacoat pattern. The Goldstream Peacoat is in the final stages of development and it will be available as a PDF pattern VERY shortly and will be heading off to print soon as well! We will be announcing the release of the pattern on the blog soon, so stay tuned!